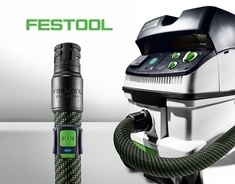 Burlington Design Center now carries FESTOOL. Every day, we consider how we can make life easier for you. consistently tailored to the demands of your daily work. and sawing system has what you need. Unprecedented tools for the uncompromising craftsman. The CLEANTEC CTL 36 AC provides maximum volume and a high degree of flexibility. Equipped with swivelling castor wheels and rear wheels for optimum mobility. It also has a locking brake that provides stability on any surface as well as during transport. The flat filter fully integrated in the suction head ensures the full volume is utilised: This means that the gross and net container volumes are virtually identical. The extremely compact high-performance turbine provides the right suction power. A 3900 l/min volume flow means that nothing remains except clean air. 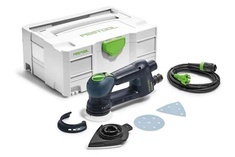 Approved for dusts in dust class L.
The CTL MIDI is the ideal companion for assembly, installation or renovation work. 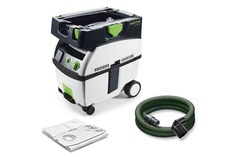 The compact wet/dry dust extractor with a 15 l container volume is perfect for cleaning work with small to medium dust and dirt volumes. The technical details are also highly sophisticated: Infinitely adjustable suction power, two-layer filter bags, flat filter for full utilisation of the filter bag volume or tool-free replacement of the filter and filter bag. 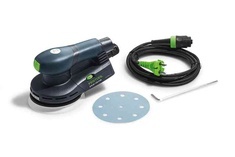 Approved for dusts in dust class L.
The perfect finishing sander in the compact class, built for manual operation. For reduced fatigue when doing overhead sanding work and a good feeling on edges, as well as convenient operation in any position. The new ETS EC compact class. With brushless EC-TEC motor and appropriate ergonomics for a range of different grip options, ensuring the perfect grip every time, and custom pad sizes of 125 mm and 150 mm. And with additional innovative details such as automatic dust control, integrated sanding pad brake and the unique Vibration Control System for added health benefits. The best plunge-cut saw we have ever built. One excellent feature is the ultra-flat and, thanks to the inward-pointing extractor connector, completely flat housing. With no body, it is possible to saw close to the edges with a minimum 12 mm wall spacing. Available with a viewing window or splinter guard, the TS 55 R gives you even more control and perfect results. Another key feature is the newly developed spacer wedge. It stands out in front of the saw blade, provides safety and guarantees precise positioning in existing saw cuts. There is also an extended angle setting and a dual display for cutting depth adjustment. This ensures even more precision and easy operation. 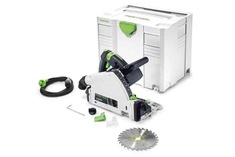 Overall the best circular saw we have ever made.